It’s easy to assume that books have always existed and that you could always pick a book off your shelf or download one onto your e-reader. Most people today take books for granted. Haven’t there always been libraries filled with shelves upon shelves, volumes upon volumes? Haven’t lawyers and scholars always had their offices lined with books or even stacked haphazardly? So how did books become what they are today? It wasn’t an easy process. The first movable type printing press appeared in the Western world in 1439. This was the first major change in the development of the book. The printing press allowed more books to be printed at a faster rate. Scribes could make mistakes as they tried to copy books in dim candlelight, and type-setters would make the same mistakes as they set the layout for the books in the same dim conditions. But in the time it took a scribe to copy a single book, thousands could be printed by the hand press. The mid-1940s brought yet another change to book publishing: the paperback. Now books were even cheaper because the binding didn’t have to be the cloth over cardboard hardback editions. Paperbacks were cheaper to produce and buy. But this didn’t mean that hardbacks disappeared, just like manuscripts didn’t disappear immediately after the printing press made its debut. So here ends our (roughly) 500 years of history in 500 words. We have seen books go from being hand-copied and expensive to printed and expensive to printed on paper and less expensive to hundreds available on your brightly lit digital screen. Over these 500 years, books have become more accessible to more people. What will the future of the book be? Will the dream of every student come true? Will we someday be able to put a book (in whatever form it takes) under our pillow at night and in the morning have all the information in our brain ready to go? Who knows? We will just have to wait and see what the future holds in store for the book and for us. It seems odd at first to realize that the best word to describe Mona Lisa Saloy’s Second Line Home is “thanksgiving.” Saloy’s work is, after all, poems written in the wake of (and about) Hurricane Katrina’s devastation of her beloved New Orleans. Nevertheless, in the Crescent City’s survival and resurgence in the aftermath of the storm, Saloy finds plenty to give thanks for. 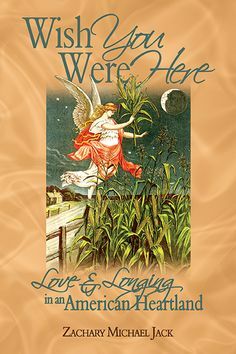 The book’s title comes from the New Orleans tradition of “two lines” at funerals: the first line, where the mourners carry the body in a grieving, dirge-singing procession to the cemetery, and the second line, where the mourners return from the graveyard singing loudly, celebrating a life well lived, and the ascent of the deceased. It is easy to see the connection to Saloy’s beautiful book of poems, whose sections loosely follow this tradition, first mourning the devastated post-Katrina New Orleans, and then moving to the survival of the people and their attempts to rebuild. Saloy’s style prizes music; her lines often lack traditional punctuation, but neither the poem nor the reader care. Instead, the eye (and ear) are drawn to the cadence and beauty. It is a unique style, and helps capture the vitality and uniqueness of New Orleans. I know of no other book of poems quite like it. Saloy’s emotion and passion are fluid on the page, and contagious. After even a few poems, you begin to think of New Orleans as your city too. In the introduction to Paul Auster’s New York Trilogy, Luc Sante writes, “Auster has the key to the city … like the key to dreams or the key to the highway. It … allows him to see through walls and around corners, that permits him entry to corridors and substrata and sealed houses nobody else notices. …” The same could easily be said about Saloy and New Orleans, and the Black Creole culture she inhabits. Her manner is always familiar, always inviting, always warm as she shows readers the city she knows and loves, a city with “more churches than bars.” Especially for an outsider to both New Orleans and Black Creole culture, Saloy’s open manner is comforting, and makes for a beautiful and friendly introduction. I won’t say I was able to stand in Saloy’s shoes, but I was certainly able to look right over her shoulder. You couldn’t ask for a better tour guide. By showing her readers the city through her eyes, Saloy shows without ever directly telling the damage and trauma the survivors of Hurricane Katrina went through. “New Orleans,” she writes, “is everybody’s business,” and her joy at finally returning home shines through every poem in the collection, even those dealing with grief and mourning. I very quickly lost track of how many poems in the book ended with some variation of either giving thanks or praise, because Second Line is replete with those phrases. The poems sing their joy straight off the page. For Saloy, it is clear, New Orleans is heaven. For those who think New Orleans drowned in August 2005, Second Line Home shows it is rising again, and still singing, still dancing. Second Line Home is not your average book about disaster. It’s a work about death in which resurrection takes center stage. It’s a book about loss and grief in which more time is spent on joy. In Saloy’s eyes, the Crescent City is not Atlantis. It is New Orleans—a city easy to recognize, hard to define, and impossible not to love. The first publication in the Contemporary Nonfiction Series, Trout Streams of the Heart by Chad Hanson, was published in April. It is a lovely collection of narrative essays with a first-person narrator and an ecocritical bent. The second volume, Bodies, of the Holocene by Christopher Cokinos, is due out this October, and pushes the boundaries of the essay firmly into the lyric essay category and affiliates even with prose poems. Over time the books in this series will define the series. But we are pleased that the initial books in the series suggest the broad territory we are interested in: traditional literary essays, researched nonfiction, memoir if it is firmly situated in a cultural/literary/social context, and lyric essays. A few months ago at the AWP (Associated Writing Programs) Conference in Boston I attended a session hosted by AGNI journal, “Options of the I: The Post-Memoir Memoir.” I went to that session because I feel AGNI and The Seneca Review have done incalculably valuable work to enlarge our conception of literary nonfiction, creative nonfiction, and to expand the parameters of the lyric essay. Panelist Lia Purpura spoke of the palette of gestures she drew from in the “atmosphere of lyric permissiveness” necessary for her work. It seems to me she’s pointing at not just the work she’s done in her life to make writing possible, but also the work editors do to enlarge or define the literary territory their magazines and presses inhabit. As I sit down this summer to read manuscripts for this fledgling series, contact writers, or arrange upcoming visits with writers, all of it is in the service of finding manuscripts that contain what at least one of those AWP panelists referred to as “new configurations of the contemplative and narrative self.” I know there are writers out there ambitious to situate their work in magazines with a track record of publishing the full range of nonfiction. If you are building a collection of such work, please see the author guidelines for our Nonfiction Series and send us your book proposal. E-books are a gimmicky, inferior alternative to traditionally paperbound books. They will make bookstores and mass-market paperbacks to be novelties of the past. That was my fear, at least. I was as skeptical as anyone else when e-books first hit the market. Reading from a computer-like monitor seemed so unappealing. I didn’t want my favorite local bookstores, rich with personality, to be replaced by online, impersonal booksellers. The next generation would never cozy up and escape with a good book—they would be forever distracted by their email on their tablets. But working as an intern at TSUP, I had more exposure to them. TSUP produces and distributes their e-books to various vendors (Amazon, Barnes & Noble’s, iTunes, etc), and their profits have benefited from the new-found market. I worked with assigning styles to manuscripts to be turned into e-books and witnessed the intensive preparation a manuscript undergoes in the transformation to an e-book. It garnered my respect, and I began to reconsider e-books. I found that e-reader monitors had changed and bright screens no longer strain my eyes. New advances in technology allow them to resemble paper and are easier to read under sunlight. And while I thought that the price of e-readers and tablets weren’t reasonable comparative to real books, their prices have fallen and e-books are generally cheaper than their hardback or paperback versions. With online marketplaces, it is also convenient and simple to buy books. But my most important discovery was that e-books are revolutionizing the industry of publishing. Because of the appeal of e-readers and tablets, readers are enticed to read and buy more books—as books have become easier to transport and acquire. While hardbacks and paperbacks are still the huge majority of sales for publishers, e-books provide additional revenue and are boosting the industry. They’re also a foolproof use of resources. Publishers don’t have to worry about overprinting electronic copies of their books. In addition to publishers making more money, authors find it easier to self-publish and make some money too. It is relatively easy for an author to self-publish electronically. While they certainly won’t hit the New York Times Bestseller List with self-publishing alone, they can still make money for low production costs. Readers can connect with these authors and quickly get the next book in a series. 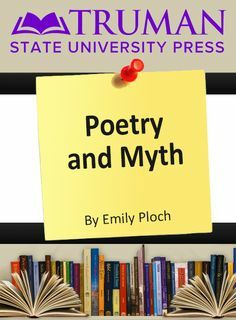 Most significantly, the author can retain their independence and promote the spirit of writing without relying on big publishing houses to do so. E-books, I have realized, aren’t a replacement for a book in hand—they are a supplement. It isn’t the medium of storytelling that is important. It is that we are still communicating stories. While I thought the newfangled technology was threatening my traditional paper-turning ways, I have reconsidered. E-books are another avenue for publishers, authors, and readers. For storytelling, they are promising for the future. Noodling has been gaining much media interest in recent years as a curious tradition of rural Southern United States. The sport, which consists of men and women plunging barehanded into submerged river holes to pull out catfish, has been featured on popular TV programs such as Discovery Channel’s Dirty Jobs, History Channel’s Mudcats, and in its own Animal Planet series named Hillbilly Handfishin’. Noodling is fascinating for its high stakes as an extreme sport; not only must the participant battle strong currents and hidden dangers below the water, but in states like Missouri one must also do this as an outlaw because noodling is banned for its unknown effects on catfish populations. So who are the noodlers exactly? Mary Grigsby, an intrigued University of Missouri researcher of rural sociology, explores this question in her book Noodlers in Missouri: Fishing for Identity in a Rural Subculture. Grisby interviewed 20 men and 10 women noodlers in order to hear what the activity means to them. The penalty for noodling in Missouri is no small sum either. A noodler who was active in Noodlers Anonymous told Grigsby about the legal issues noodlers must face. “If you’ve never been caught before you can’t understand the feeling that I have when I go because I was caught in ’91 by the conservation agent. Cost me $500 and the maximum is 1,030 days in jail. If I get caught again that’s where I’m going, probably to jail. Whoever gets caught with me is going to face the same penalties and I don’t want to be responsible for that” (90). With the threat of legal action constant, noodlers are motivated by more than just the fish they catch. Grigsby found in her research that the noodling subculture is quite different than the images portrayed by the generalized culture in popular media. “For people involved in noodling, the activity transcends the realm of sport. The intimacy with members of the group, the immersion into the natural environment, and the ‘primitive’ closeness that noodlers experience with their prey are parts of a web of cultural meanings and values that illuminates what noodling means in the noodling subculture and why it has persisted despite its illegality” (8). Most noodlers see noodling as an important opportunity to spend time with families and to teach their children important cultural values such as teamwork, trust, respect for the environment, and overcoming difficult adversity in daily life. Grigsby said the noodling tradition is part of a cultural identity that defines noodlers as a unique group of hardworking, rural people and establishes their worthiness in the face of a dominant culture that grants higher worth to middle class suburban and urban values. For these reasons, Noodlers Anonymous continues to lobby for legalization of noodling in Missouri. Primarily through their efforts, noodling was legalized in 2005 as part of a 5-year experimental study, but was halted in 2007 after the Missouri Department of Conservation stated that the catfish population was under duress. Of the 646 tagged catfish caught that season, only one had been captured by noodling. “They’re all about the money” Connie, an avid noodler, told Grigsby. “And they can’t make money off a hand-fisherman because there’s nothing that a hand-fisherman needs but a rope. That’s it” (84). As long as challenges persist, noodlers don’t see noodling dying out anytime soon. Within the span of the next fourteen days, one language will die. If this rate continues, then by the year 2100, nearly half of the world’s seven thousand languages will disappear (Rymer 60). With every language forgotten our culture sphere shrinks. And in an increasingly homogenized world, what we risk losing is far greater than words. We relinquish songs, delineations of seasons, myths, terms of endearment, names for animals (and on and on) into a black hole of terminal silence. What hangs in the balance are priceless facets of living heritage that not only endow native speakers to name their own part in existence, but enrich the global community as well. For with each language removed from our comprehensive lexicon, we forfeit a unique and essential square in the quilt of human experience. When mother tongues become homeless we sacrifice diverse worldviews. As the past so often begs for serious and immediate responsibility, “The Poet / C’etsesen” (4–5) brings us up to speed with Smelcer’s present role. There are not many words anyhow. In this collection, Smelcer has pieced together a map of Ahtna culture and history that is a signpost to the present as well as the past. By interspersing poems about current problems such as “A Polar Bear Tries to Adapt (to Global Warming) / Tsaane’ Ggay Dzes Cu’ts’endze’” (22) and “Soda Pop Song / Tuu Nelnesi C’eliis” (67) between works about trickster and creator Raven, Owl, Fox, and Mouse, Smelcer emphasizes that cultural pride and rejuvenation are the first step toward progress. What is lost in translation is everything. When a language disappears from our collective lexicon, so do the idiosyncrasies of our world. The opportunity for linguistic variety both authenticates and elevates our ability to render our own universe. And without this opportunity we will find that at times, silence can be deafeningly louder than words. NOTE: Because of font limitations, some special characters may not display properly in this work. Smelcer, John. Beautiful Words / Kasuundze’ Kenaege’: The Complete Ahtna Poems. 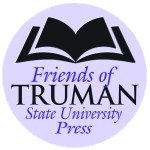 Kirksville, MO: Truman State University Press, 2011. Print. Rymer, Russ. “Vanishing Voices.” National Geographic July 2012: 60-93. Print. Jason Haxton writes in his journal daily, and has for the last twenty-two years, yet he has never considered himself a writer. 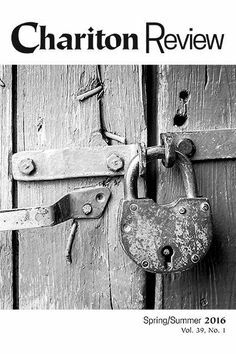 Even now, after the publication of his book, The Dibbuk Box, a wild and fantastic telling of his real-life experiences with a haunted Jewish wine cabinet, Haxton doesn’t regularly think of himself as an author. This may seem strange that someone who is a member of the Author’s Guild and has a major motion picture based on his book wouldn’t consider himself an author. Yet, Haxton’s experiences with writing are collaborative, and he attributes his success to not only himself, but to everyone who helped him along the way. When Haxton first had the idea for his book, he had no intention of writing it himself. He felt that if he provided the story and the material, then someone else might do a better job. 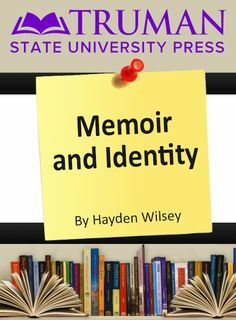 After contracting with Truman State University Press to publish his story, Haxton originally took his idea to a writer recommended by the Press. But when this author began experiencing the strange effects of the box, he backed out. Next, Haxton took his idea to Giles Fowler, author of Deaths on Pleasant Street, published by TSUP. Though Fowler was excited about the new project, he was unwilling to write it for Haxton. It was clear to both Fowler and Haxton that their system could be a bit more efficient. Haxton began sending a few pages at a time to Fowler, and this began a constant flow of new pages to Fowler, edits back to Haxton, revisions back to Fowler; each writer working in collaboration to craft a better book. 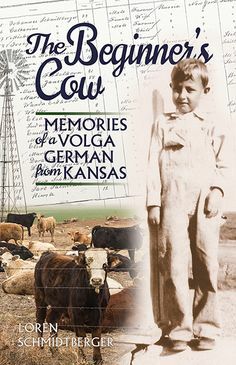 Fowler was so dedicated to the book that he continued to edit it until they finished, which ended up being a few months later than he agreed to. The Dibbuk Box doesn’t rely solely on his own journals or experiences; it is riddled with stories and testimonies from previous owners, various folk who encountered the box, and a few anonymous persons whose only contact with the box was through a photo of it. Furthermore, people who play a role in Haxton’s Dibbuk Box story seemed naturally drawn to help Haxton in his efforts to understand and cleanse the box of its demonic evil. Even before the book was written, the story of the Dibbuk Box had a way of bringing people to work together, and that didn’t stop with just helpful strangers on the Internet. In October 2004, a lawyer representing Sam Raimi, director and producer of such films as the Spiderman trilogy, approached Haxton. Raimi heard about Haxton and the Dibbuk Box through a Los Angeles Times article, as well as through Haxton’s own website. Raimi wanted rights to make a filmed version. But eventually a contract was drawn up that allowed Haxton to keep rights to a book, documentaries, replica boxes and a few other elements. A movie based on the box, The Possession, will be released August 31. Just like with Haxton’s book, there was no shortage of people working on the film’s script. Haxton said there have been three scripts drafted for the film. Stephen Susco (The Grudge, The Grudge 2) penned the first of the scripts; his was loosely based on Haxton’s personal experiences, with the protagonist being a museum director who has recently taken possession of a haunted Jewish box. Susco’s script was polished and finished, but then bad news came. While at a party, Susco ran into his friend and fellow screenwriter, E. L. Katz (Autopsy), who was elated about a new job that he had just received. The job? Katz signed on to write the script for a dibbuk box movie; the very movie that Susco had just finished writing. Katz’s script told the story of a college student who bought the box from an auction on the Internet; a close similarity to the owner previous to Haxton. Once Katz’s script was completed, he received bad news as well; his script had been passed over, and this time Juliet Snowden (Knowing, Boogeyman) was to write the coveted screenplay. This version of the script is the final version, with the story vaguely following Kevin Mannis’ story, the original owner of the box. Haxton’s guess is that Raimi had the full story written in a backwards order, starting with Haxton’s experiences and leading all the way back to Mannis’. This way, Raimi could produce sequels to The Possession quickly, without sacrificing story quality. Haxton’s contribution to the films didn’t stop there. In order to draw inspiration for the box, Raimi’s assistant asked Haxton to acquire an exact replica of the box. Because the filmmakers worked so closely with Haxton throughout the process, taking his experience for inspiration, Haxton thinks the film complements his book, rather than detracting from it. It seems that in the past few years, everyone wants to have a hand in telling the tale of the Dibbuk Box. Beside the book and the movie, there are several other groups telling the tale of this demonic box. One of which is SyFy Channel’s popular docudrama series, Paranormal Witness, which will air an episode on August 29 titled “Dybbuk Box” about Haxton’s story. Haxton said they were very excited to work on that episode, and that it could be one of the most-watched episodes of the season. With all the excitement stirring around the story of the wine cabinet, could there be repercussions with tempting the haunted box? The film crew has already felt the effects of the Dibbuk Box. Haxton said that a few days after The Possession finished filming, their entire props warehouse spontaneously burned to the ground. If the dibbuk did actually cause this incident, what will happen when this film is released to the wider audience? In The Dibbuk Box, the box affected people after they saw only a picture of it. This is a major motion picture telling the story for entertainment; could the malicious effects be intensified?